Dropping pounds does not require you to have a lot of fancy exercise equipment or a membership at an expensive gym. The key to losing weight and improving your personal health lies in simply implementing better life habits. For couples who intend to fight this battle together, there’s the additional benefit of having a constant source of motivation from your spouse. Following are several things that devoted pairs can do to tighten, tone and slim their bodies without blowing their budget. 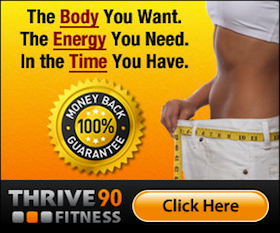 Many couples develop comfortable patterns over time that are not always conducive to weight loss. They might have a night that is set aside each week for indulging in pizza and beer, or they may have the habit of sharing a pint of ice cream in bed. Although all of these things are perfectly fine to do occasionally, they become detrimental to your health when you take it too far. One of the best ways to kick off a low-cost, weight loss plan is by eliminating things, rather than trying to bring more stuff in. Not only can you get rid of pizza night, but you can also commit to eating fewer desserts while lying around together. It is also a good idea to start eliminating all junk foods in your cabinets. This will alleviate a lot of temptation by making it far more difficult for dieters to indulge in some of their favorite, high-fat and empty calorie treats. In most instances, if it is not accessible, you and your partner will likely crave it a lot less. Couples should also come together and write out a new grocery list that includes a generous selection of healthy treats to replace those that were just tossed out. Couples without kids often live a very carefree existence that does not require the diligent planning of daily meals. They grab food when and where they can and cook when they have to. If this is the case in your household, now is the time to make home-cooked meals the standard. Not only will you be able to eat better, but you can spend a lot less in the process. Rather than invest in an ongoing gym membership, it may be best to buy a few quality items that will allow the both of you to get a comprehensive workout at home. These do not have to be expensive or even brand new. There are many reconditioned treadmills, stair-climbers and ellipticals that people can purchase cheaply online. A set of hand-weights in varying sizes and a comfortable yoga mat can complete your cache. You also have the options of adding to your home gym slowly and may even find a number of helpful items at a local thrift store or nearby garage sale. If this is not your first attempt to drop pounds as a pair, you should first collect all of the old exercise equipment that you have purchased in the past and make a dedicated effort to start using it regularly now. These would be any items that are currently catching dust bunnies beneath the bed or holding up boxes in the garage. The best part of creating a workout space on your own property is that you never have to worry about making long trips to the gym or waiting in long lines for your turn on a favorite machine. Exercise can actually be a lot of fun, especially when you have a partner to tow along with you. You and your significant other can start jogging together on Saturdays, practicing yoga or tai chi in the park on Sundays or even planning major hiking excursions. The sky really is the limit, and there is no need to spend so much as a single cent. Although a good set of bikes will likely cost a fair amount of money, this is a gift to yourself that will keep on giving and one that could ultimately pay for itself in savings. Not only can you and your partner ride together on your off-days, but you can also make a joint commitment to start riding to work each day. The extra money that you are able to save on fuel or other transportation costs can be put towards enhancing your home gym or purchasing more specialty food items for your new diet menu. 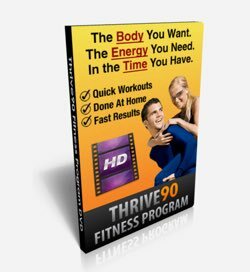 If you’re ready to get started with a workout program designed specifically for busy couples who want to enjoy quality time together while you get fit – at home and in less than 30 minutes per session – be sure to check out Thrive90 Fitness. 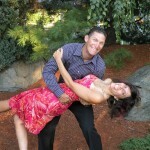 Mitchell Rodriguez writes about fitness, romance & more at healthinsurancequotes.org.